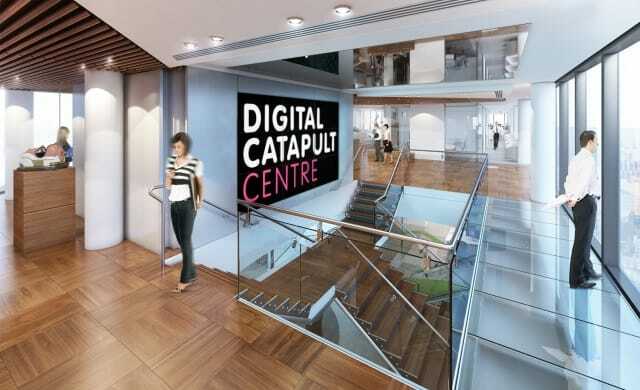 Digital Catapult, the government-backed national centre that looks to help the UK become a global leader in AI and machine learning, has revealed the first cohort of start-ups joining its Machine Intelligence Garage. Digital manufacturing start-ups Intellisense and Predina, digital health start-ups Cambridge Bio-Augmentation Systems and GTN, and natural language processing start-up Bloomsbury AI will all join the innovation programme – receiving access to computational power from partners including Google Cloud Platform, Amazon Web Services, Graphcore, and Nvidia. Recently surveying approximately 10% of all UK AI and machine learning start-ups, Digital Catapult’s recent Machines for Machine Intelligence report found that over half are constrained in their growth by access to computation power – with a single training run for a machine learning system potentially costing upwards of £10,000. The Machine Intelligence Garage is still open for entries from start-ups that are developing products or services that use machine learning or AI – with the last Open Call having gone live on 23 January 2018, with applications rolling every six weeks. Digital Catapult says applications are assessed based on the strength of the idea submitted and technical implementation plan, availability of data, and the immediacy of the need for computation power. Companies’ ethical use of data is also paramount. “We’re incredibly excited to be announcing the first cohort of AI and ML start-ups to participate in the Machine Intelligence Garage as part of our work to support early-stage AI development. “Machine Intelligence Garage is part of a broad programme at Digital Catapult to accelerate the adoption of artificial intelligence technologies across UK companies and industries, with particular applications in areas like digital manufacturing or the creative industries where there are potential large gains in growth and productivity. “Members of the first cohort have been carefully selected for their innovative use cases in AI, ethical values and ambition.